Although you might be tempted to ignore dental issues, a little negligence could lead to gingivitis, which can turn into periodontal disease. 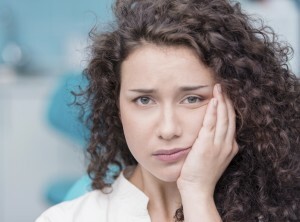 In addition to making your teeth fall out, periodontal disease has been linked to other dangerous medical conditions, including heart disease, diabetes, and even cancer. Red, Inflamed Gums: While healthy gums are light pink and pretty, gums infected with gingivitis are red, inflamed, and bleed easily. Pay attention to how your gums look and react when you floss. If you notice extra bleeding, ask your doctor about gingivitis. Bad Breath: Gingivitis creates pockets of infection underneath your gum line along your teeth. Unfortunately, these areas collect bacteria rapidly, leaving you with terrible breath. A Receding Gum Line: Unhappy, inflamed gums can even recede from your teeth, exposing sensitive dental roots. If red, inflamed gums and terrible breath don’t sound like symptoms you want to cope with, here are some suggestions to avoid developing gingivitis. Don’t Skip Regular Dental Checkups: Don’t skip the chance to talk with a professional about your overall dental health. Visit your dentist twice a year, or as often as your dental insurance will allow. Focus Oral Hygiene: To keep your smile pristine, brush twice a day and floss before you go to bed. Consider flossing after you brush but before you rinse, so that you can work toothpaste between your teeth. Avoid Smoking and Chewing Tobacco: Smoking and chewing tobacco can be hard on your oral tissues, which can make it hard for teeth and gums to heal. If you smoke or chew, talk with your family doctor about helping you to quit. Today, there are effective medications that can take the edge off of tobacco cravings—which might improve your chances of quitting. Know Your Family History: If your parents suffer from gum disease, you might be susceptible to the condition as well. Talk with your parents and grandparents to see if gum disease runs in your family. Do you suspect that you have a problem with gingivitis? Make an appointment with Dr. Trujillo today. He will carefully evaluate your oral health and take the necessary steps to ward off gum disease. Call us or request an appointment online.